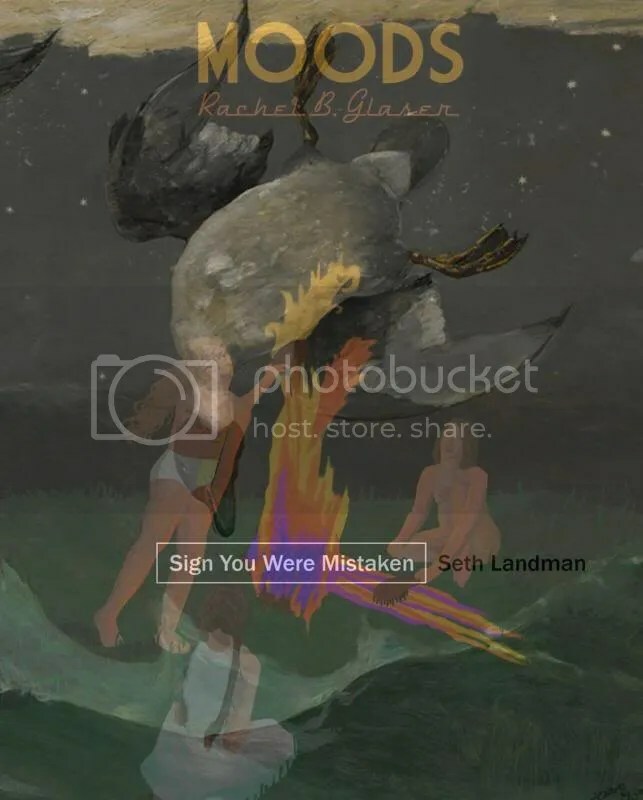 In March of this year, Factory Hollow Press, which is the publishing imprint of Flying Object, released Rachel B. Glaser’s Moods and Seth Landman’s Sign You Were Mistaken. Both books are the debut collections for each poet (although Publishing Genius released the short story collection Pee on Water by Glaser a few years ago). The references and humor, which spares no one, continues throughout the remainder of the collection at a furious pace, making for a quick and enjoyable read. Not only does this brief excerpt ruminate upon the nature of travel, but it does so in a manner that collapses two syntactic units into one another. In other words, the lines concatenate the sentences “A very small train in silhouette is a terrible way to travel” and “A terrible way to travel is to go back,” linking the two through their common phrase. These syntactical techniques require readers to examine the relationships between words more closely, thus forcing us to consider more thoroughly the meditations within each poem. While you wait for your copies of Factory Hollow Press’s new books to arrive in the mail, check out Glaser’s portrait paintings of NBA players and Landman’s musing on Fantasy Basketball. Fabulous post. Thank you. I like how you’ve interwoven the poems with your critique. That skill takes a certain refinement — and you have that.